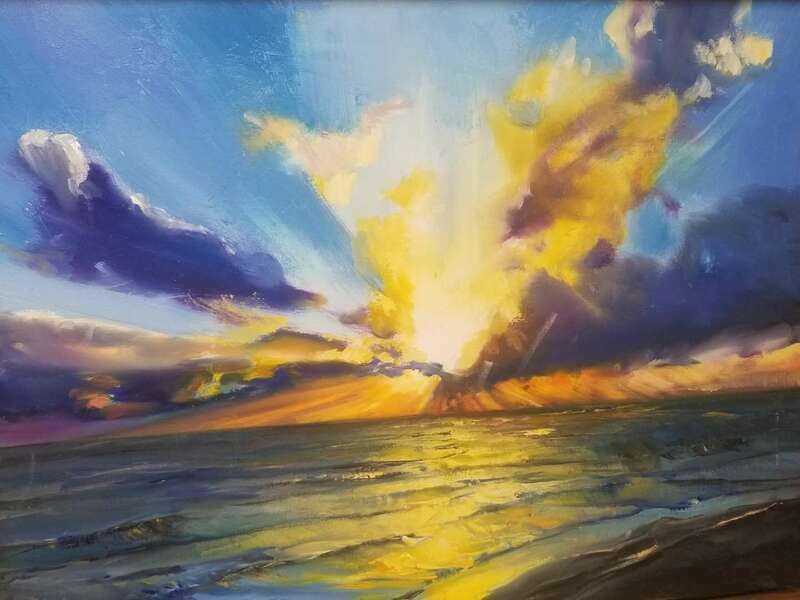 Priscilla Coote has been mesmerized by the water her entire life. She has been called a Tonalist in a Colorist world. 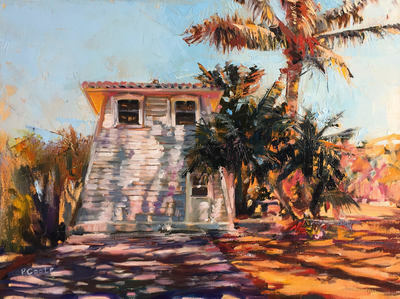 A New Englander by birth, she has spent the last twenty-plus years in the Florida Keys, with its blinding sunlight and saturated hues. 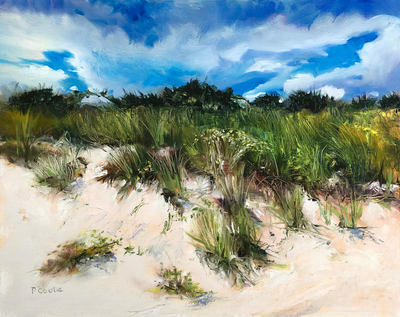 She has found reconciliation between these polar opposites of imagery into her own style only after years of diligently painting en plein air in both North and South, and then carrying her inspirations into the studio. 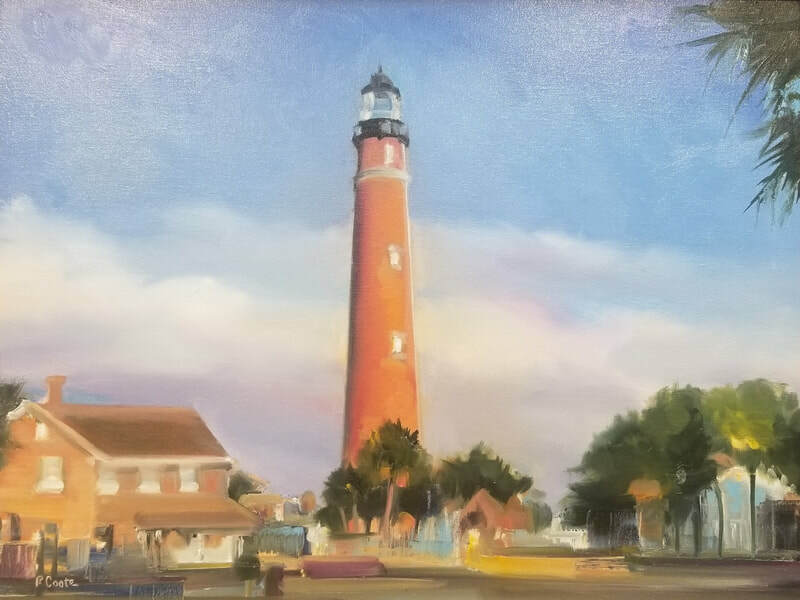 She has made a lifelong study of how the placement and intensity of light and dark areas within a painting create its mood and atmosphere. She will sometimes emphasize rather than minimize the distortions of the camera. Vignetting, lens flare and color shifts are favorite tools of hers, and quite useful in the creation of mood. 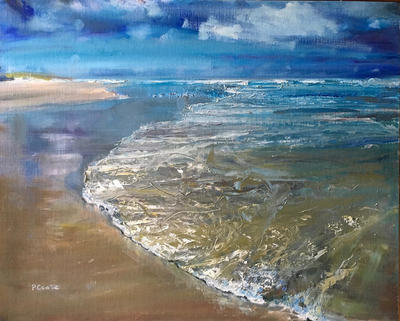 In addition, she is a serious student of the anatomy of water itself, delighting in how the careful rendering of even a mere ripple can make a successful painting.